One of Sen. Jeff Flake's sons has filed a malicious prosecution lawsuit against Sherriff Joe Arpaio, claiming the sheriff pursued charges of animal cruelty against him and his wife for publicity's sake and to hurt his father's political reputation, AP reports. The case will go to trial on December 5. Why it matters: This is just the latest in a list of serious accusations of misconduct against Arpaio. 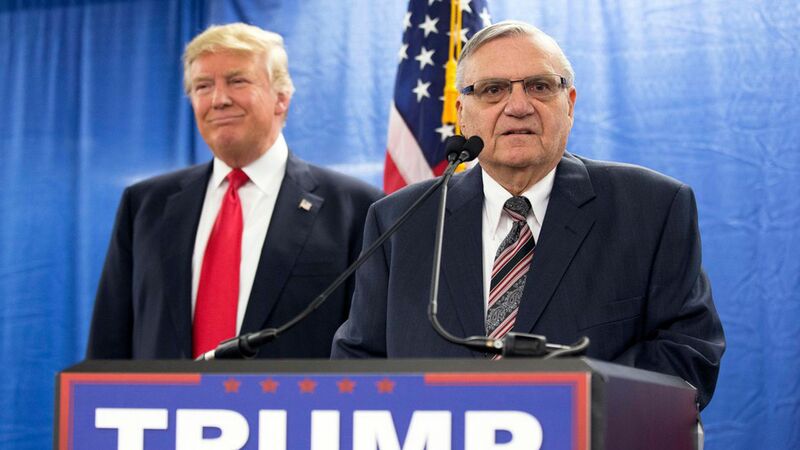 President Trump pardoned Arpaio over criminal contempt charges earlier this year. The backstory: In 2014, Austin Flake and his wife were watching the dogs at an animal shelter owned by Flake's in-laws when an air conditioning unit broke and 21 dogs died from heat exhaustion. The owners, who had been out of town, eventually pleaded guilty to animal cruelty charges for not properly maintaining the AC unit. The claim: Austin claims that Arpaio was intent on linking the Flake family to the felony charge of animal cruelty and even conducted surveillance at the senator's house.